Bringing home a new doggie should be a joyous occasion. After all, your new dog is going to be your best friend, right? But what if you get the wrong puppy? What if your dog winds up NOT being your best friend but becomes your worst nightmare? When you’re in the market looking for your next dog, remember that this is one of the reasons, not to mention a great time, to choose your new friend wisely. Not only do you need to consider the time and energy a new dog will require you’ll also want to ensure that you and your new dog are a great match and have a common purpose together. Understanding how to choose the right dog or puppy will ensure the best fit for both of you. Dogs live long lives. While some have shorter life expectancies, such as the Irish Wolfhound with an estimated six to eight years, other breeds can live as long as 15 to 20 or more years. Since most folks intend to give their dog a forever home and will keep their dogs for the duration of its life, the sad fact is this does not always happen for many reasons. According to the National Animal Interest Alliance, 7.3 million dogs are acquired every year. Of these numbers, 5.8 million are puppies purchased from breeders and pet stores, while about one million are taken home from shelters. Heartbreakingly enough, nearly four million of these dogs are surrendered to shelters each and every year while others are simply dumped, given away (again), abandoned to the streets or euthanized. Through no fault of their own these dogs simply weren’t the right ﬁt for their human. People don’t mean for things to go wrong with their dogs, however, things do go wrong all the time. Tip #1: Get the right breed! The ﬁrst and easiest way to avoid winding up with the wrong dog is to find the right breed. Avoid impulse shopping. Getting caught up in the moment of Disney’s 101 Dalmatians is not a legitimate reason to rush out and buy a Dalmatian. You don’t want just any dog that catches your eye, appears darling in a movie or has a face similar to a dog you used to know and love. You want a dog that is the perfect ﬁt for your family and your lifestyle. If you get the wrong dog you may wind up in a difficult, painful and expensive position of getting extra training for them from specialists, getting rid of them (or even putting them down). You could doom your pet to unhappiness, putting them at risk of losing their home or their life. • Your lifestyle. Are you active or inactive? Are you always home or always away? • How much time you are willing and able to dedicate to your new companion? • Do you have training and skills or will you need to learn more for the breed you are considering? 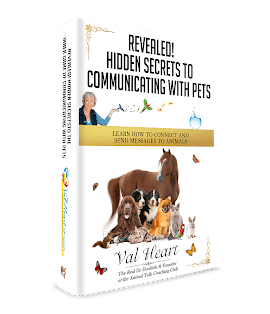 • Do some research and talk with people who own the breeds you are interested in. • If you decide on a dog of mixed breeding, remember that each of the breeds in their makeup contributes to their personality and potential challenges. Herding dogs aren’t a good match for city dwellers that tend to be couch potatoes. They have unique personalities, drives, needs and instincts that must be satisﬁed in order for them to feel happy. Just like not all humans are cut out to be Olympic athletes, not all dogs have the ability, interest or the conformation to do agility, showing or obedience sports. On the other hand, other dogs are not happy unless they are performing. High energy dogs like Chinese Cresteds, do not fit well with people who like a peaceful, quiet household, while Bulldogs are not a good match for athletic types who want their dogs to exercise with them. Tip #2: What’s their Job going to be? Write a job description for the dog you’d like to have. Decide what you really want from a dog and do your best to match a dog to your wants. Then spend some quality time with a prospective dog before you bring it home. You can do this by visiting an animal shelter or spending time with the breeder. Tip #3: Interview them first! Pay close attention to your expectations and the qualities of the prospective dog you are interviewing. Can the dog offer what it takes to be successful in your life? I highly recommend engaging the services of a reputable animal communicator to discuss things with them before writing that big check or taking the step of adopting them. The new dog needs to know what you expect of them, if they like you and feel drawn to be with you, if your lifestyle is a match for their personality, and if they actually WANT to do the job you are offering them. Beyond that, if they are agreeable, then you’ll want to discuss household rules, do’s and don’ts, their diet need and how their body feels. Learning these things beforehand can make THE difference between being confident that this dog is a perfect match for you or not.